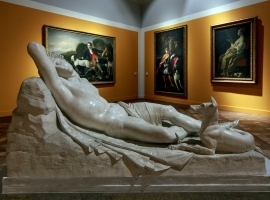 Location: Royal Palace of the Venaria Reale – Venaria Reale (Turin). 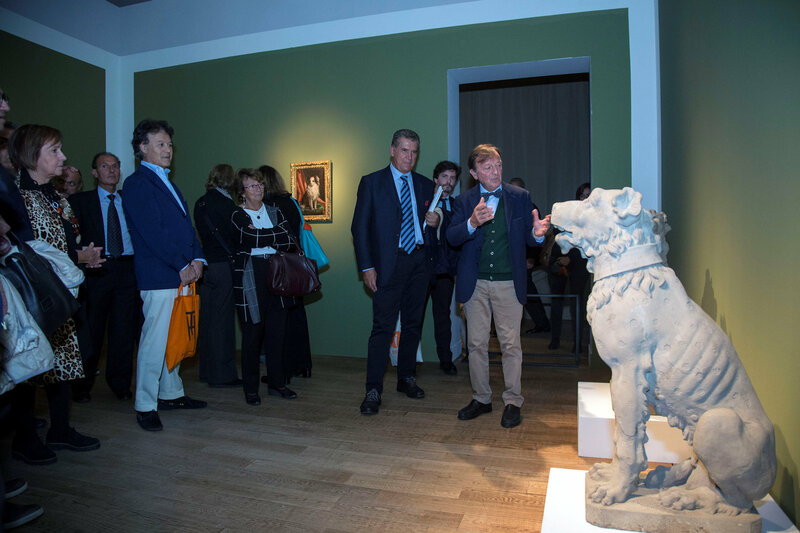 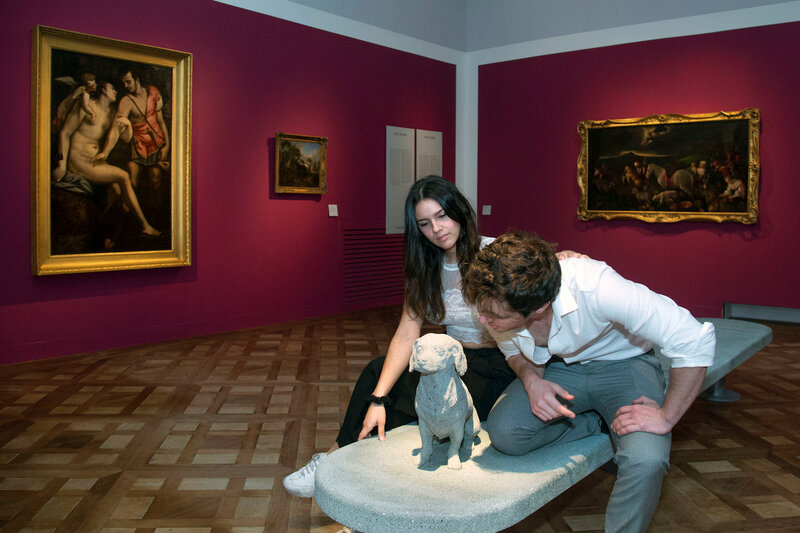 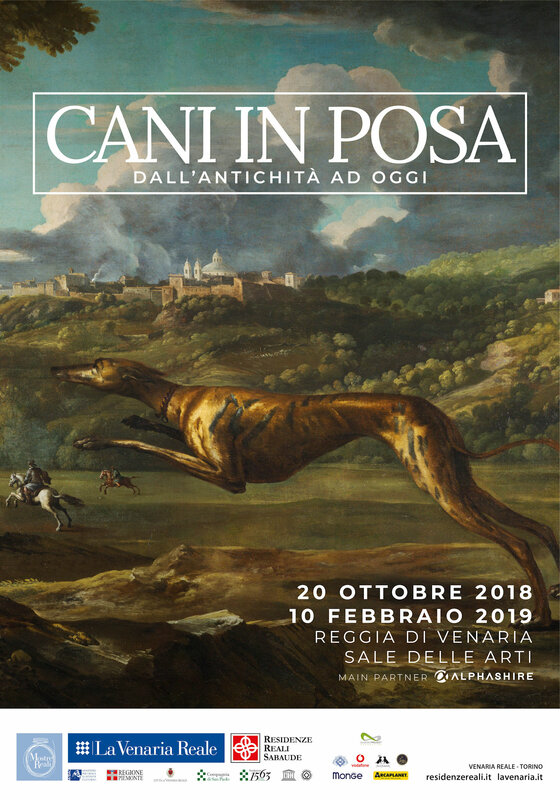 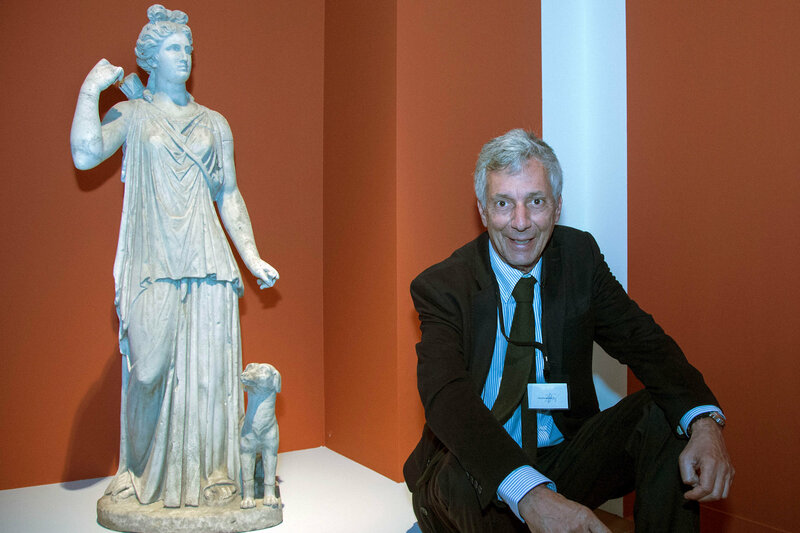 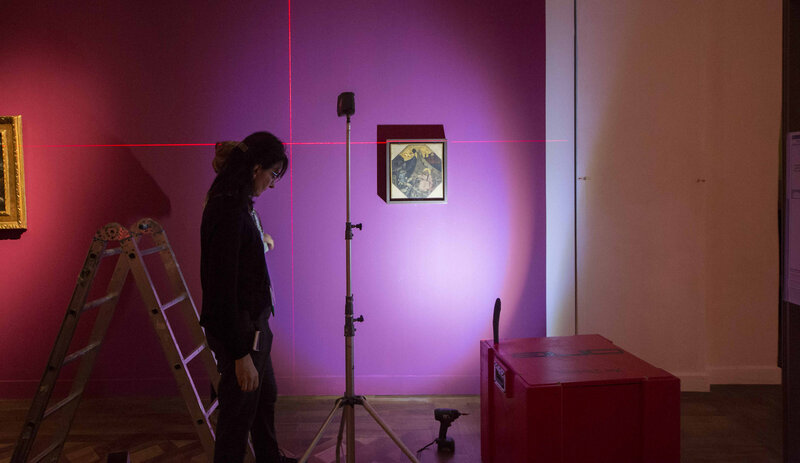 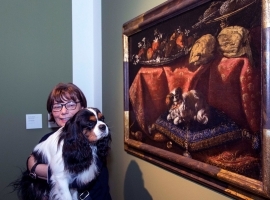 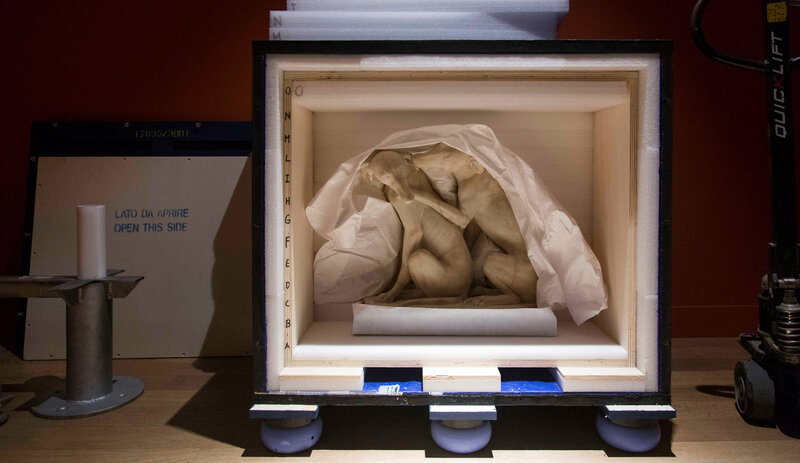 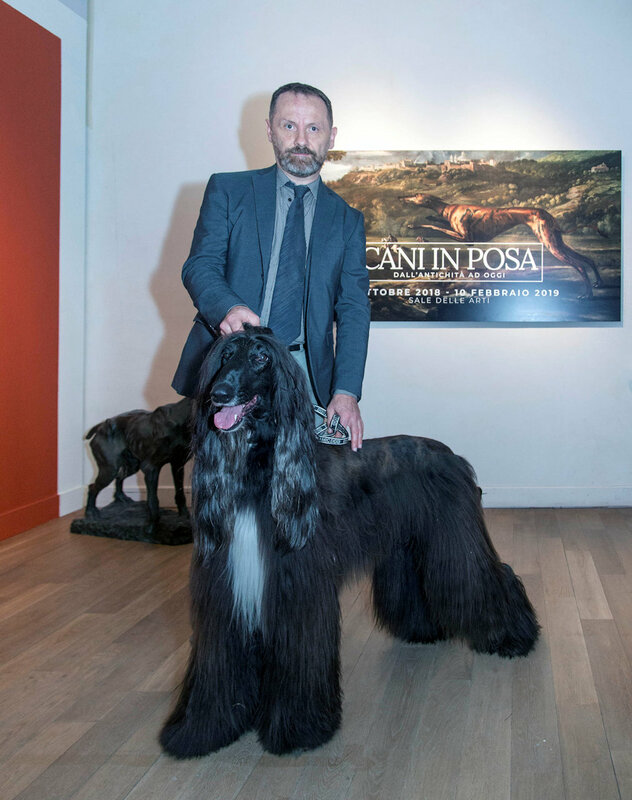 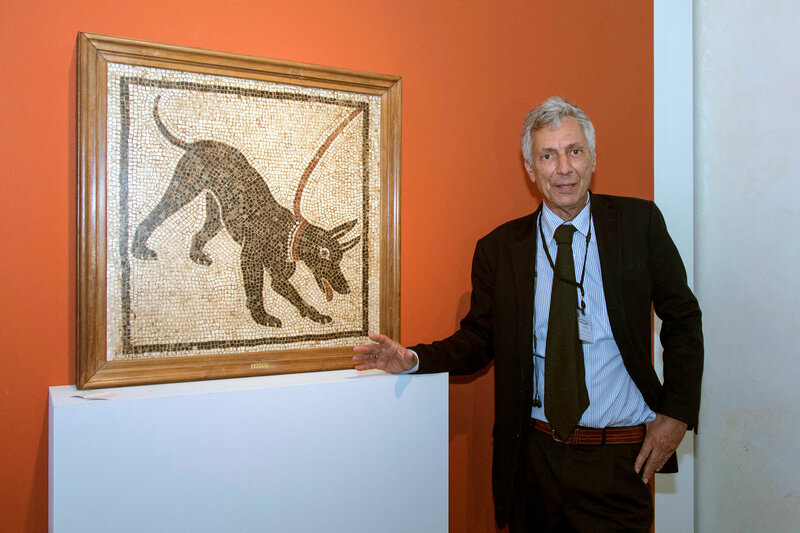 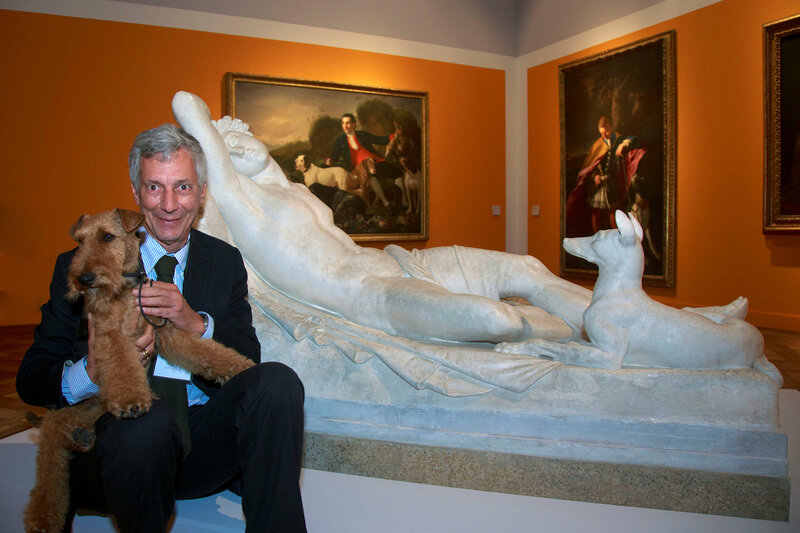 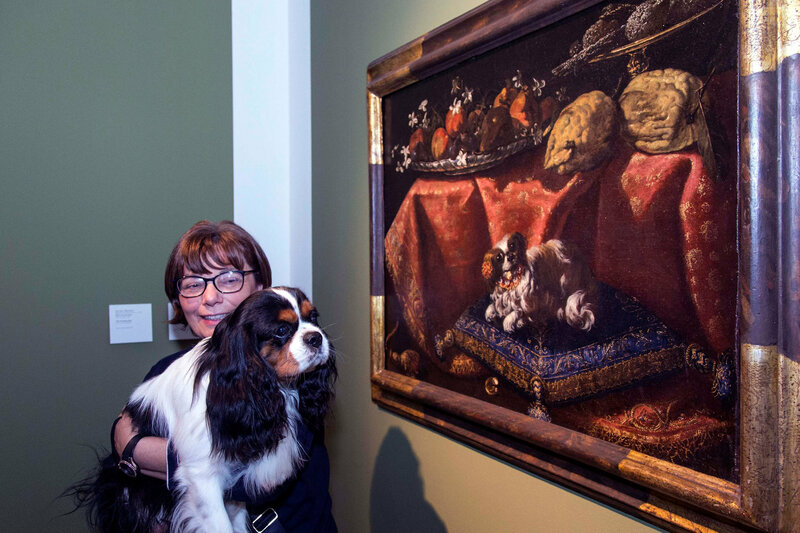 Dogs in Poses, from Antiquity to the modern day is the first scientific and encompassing exhibition presented in Italy on the iconography and iconology of dogs in the history of art. 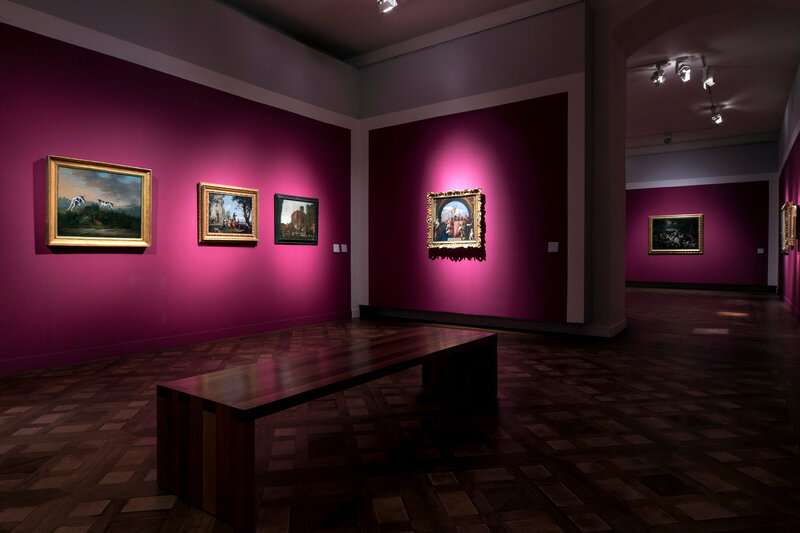 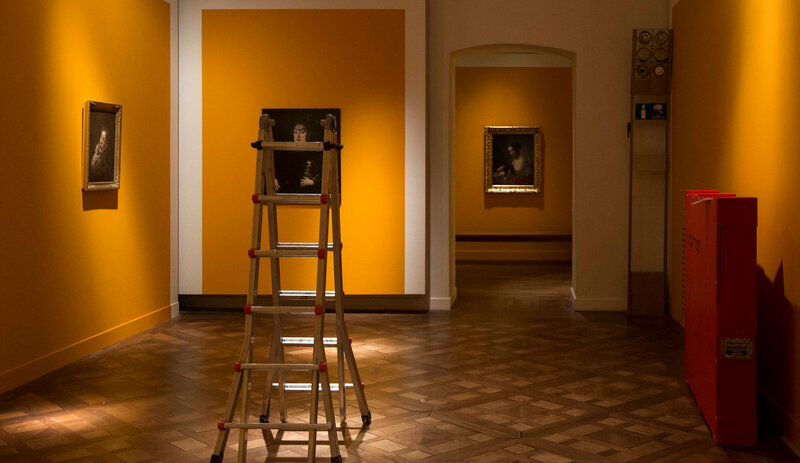 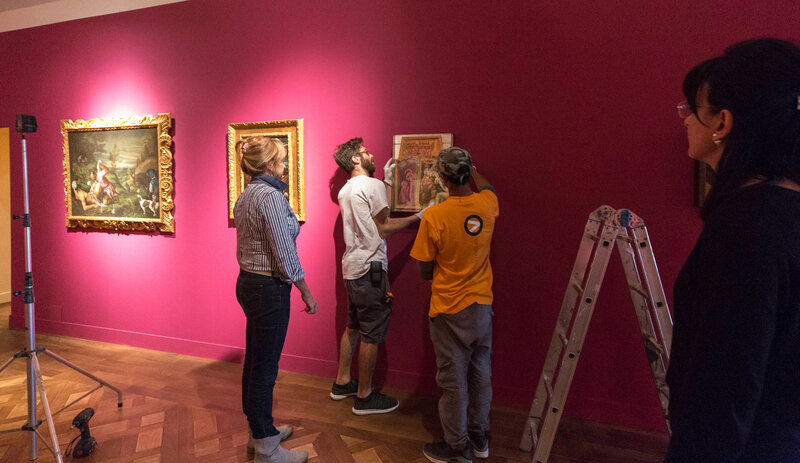 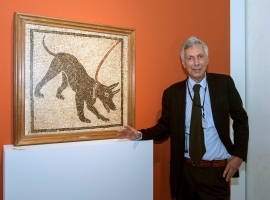 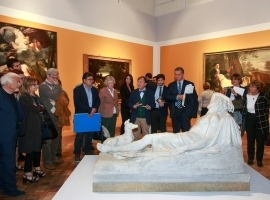 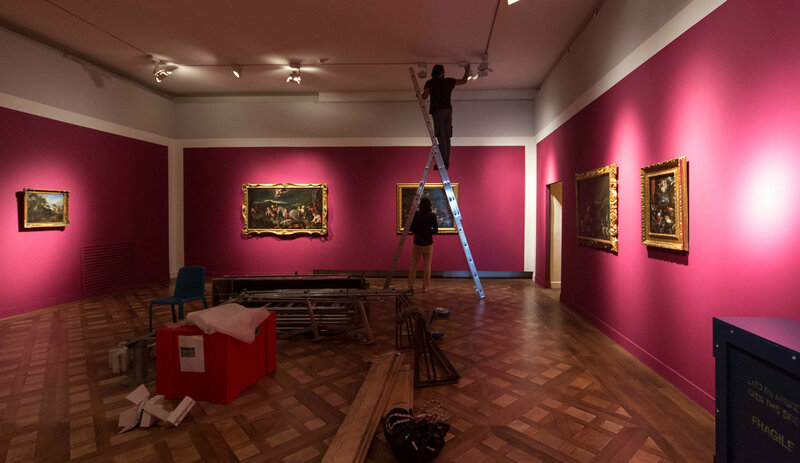 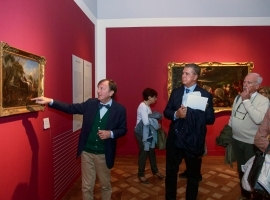 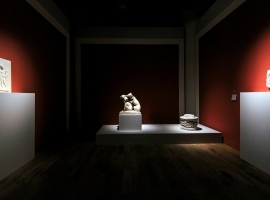 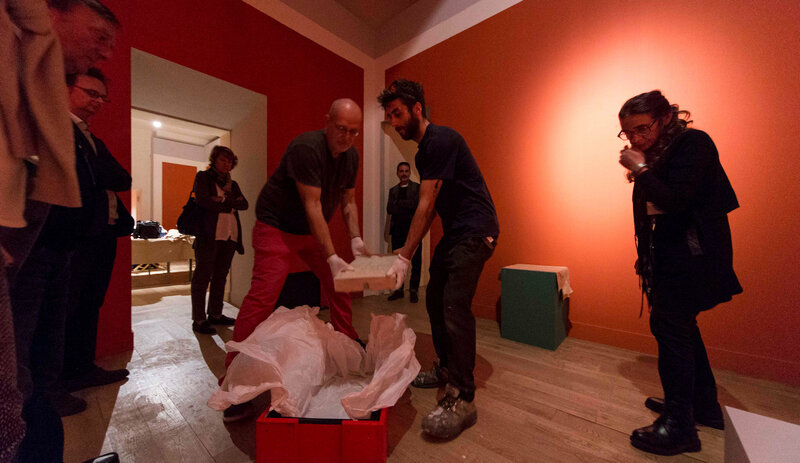 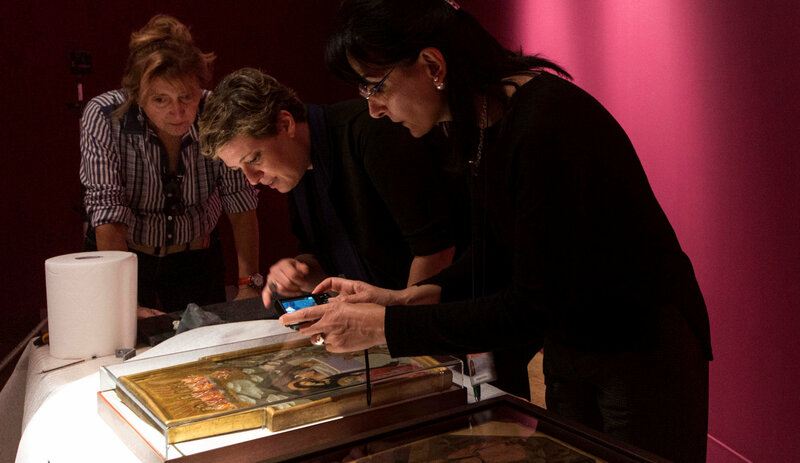 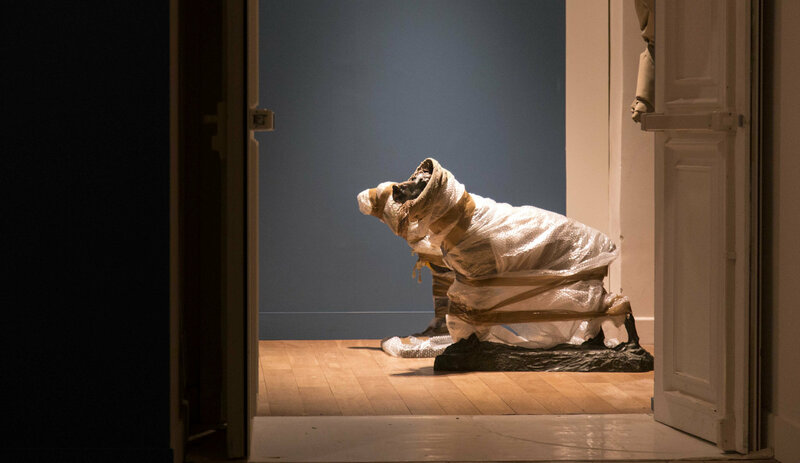 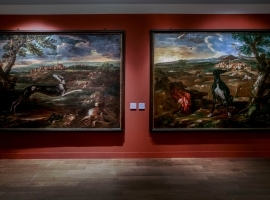 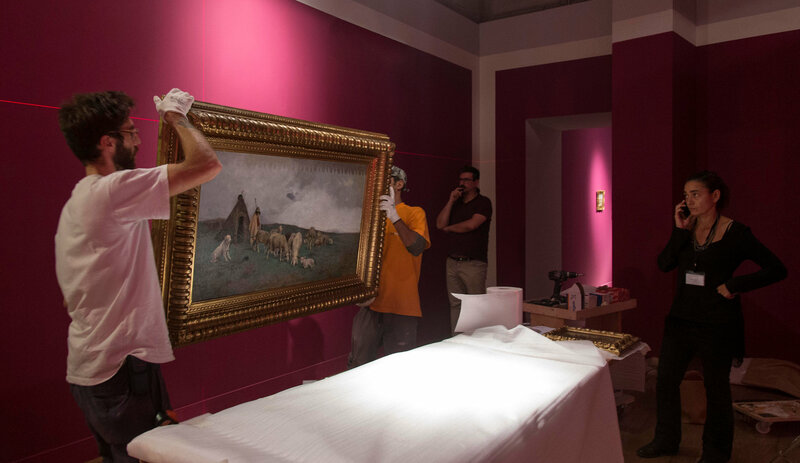 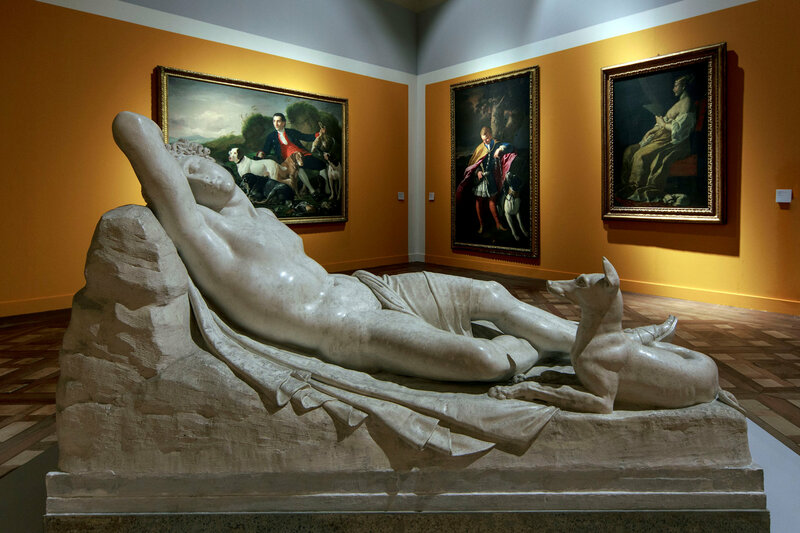 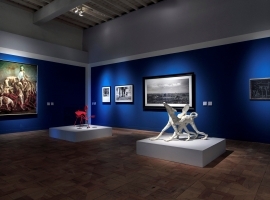 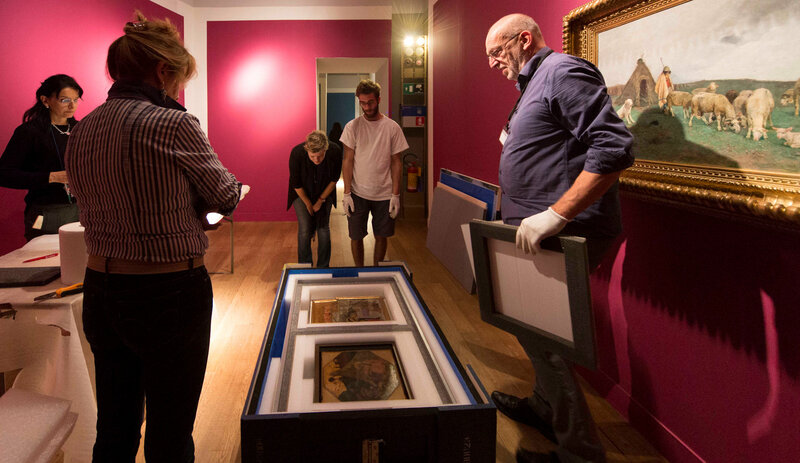 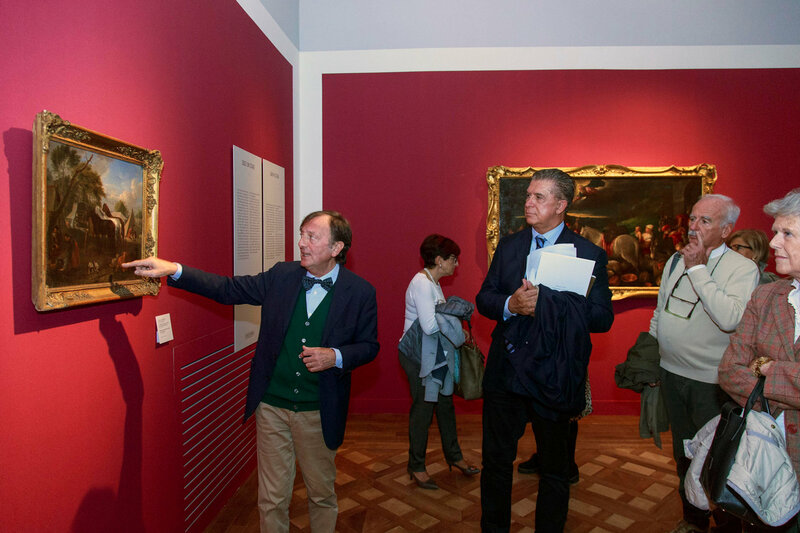 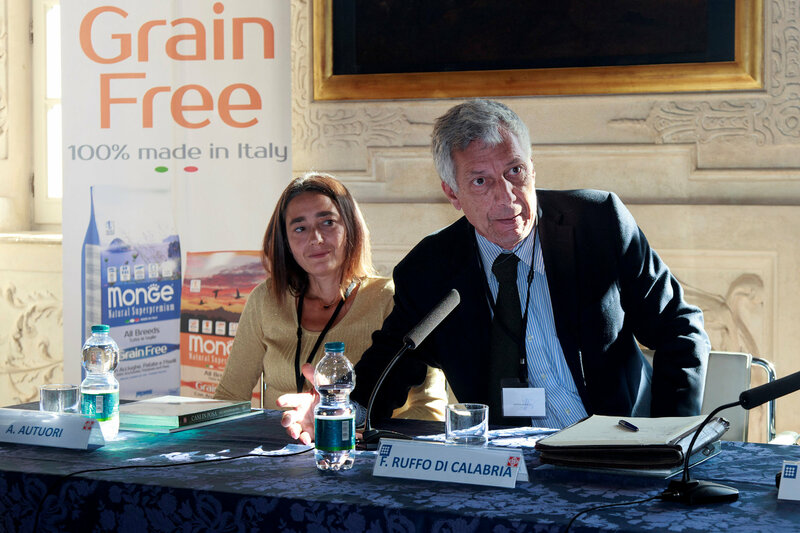 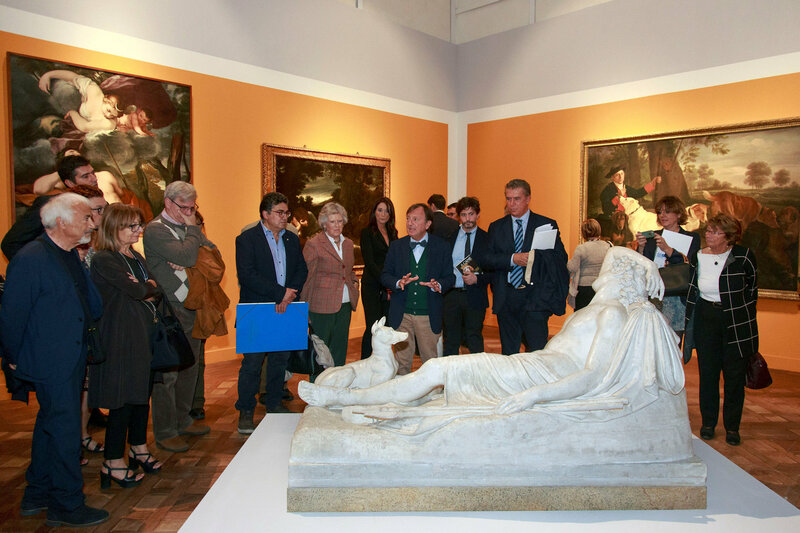 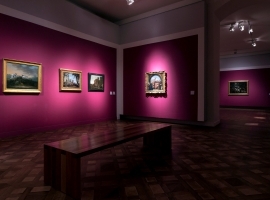 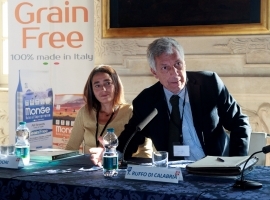 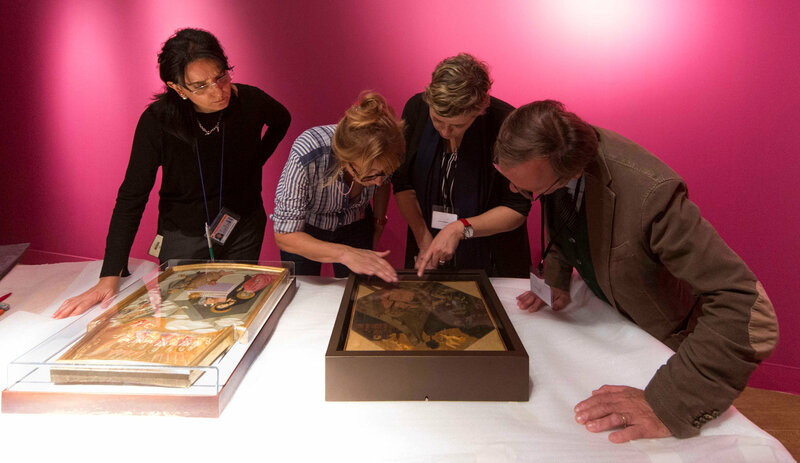 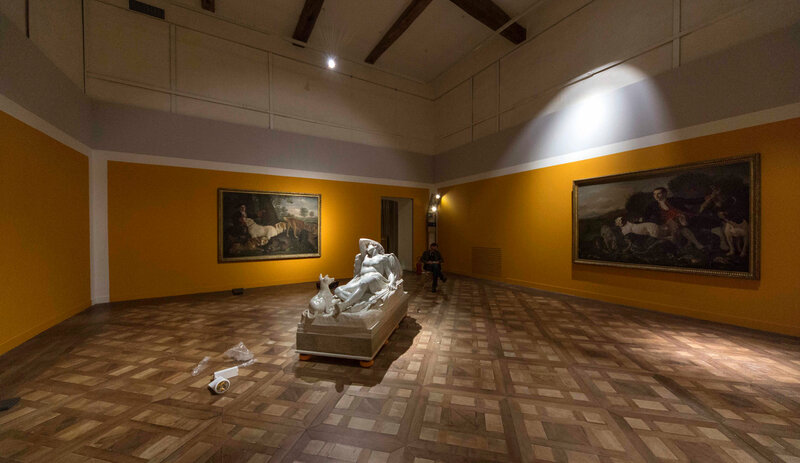 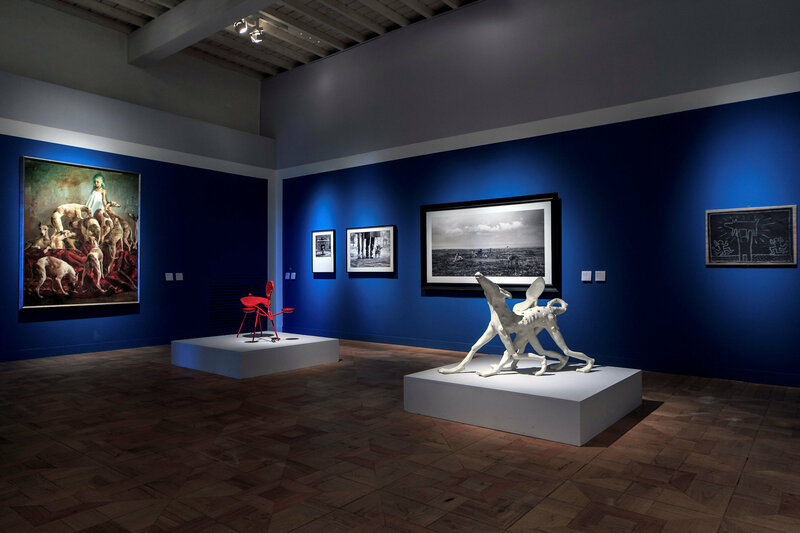 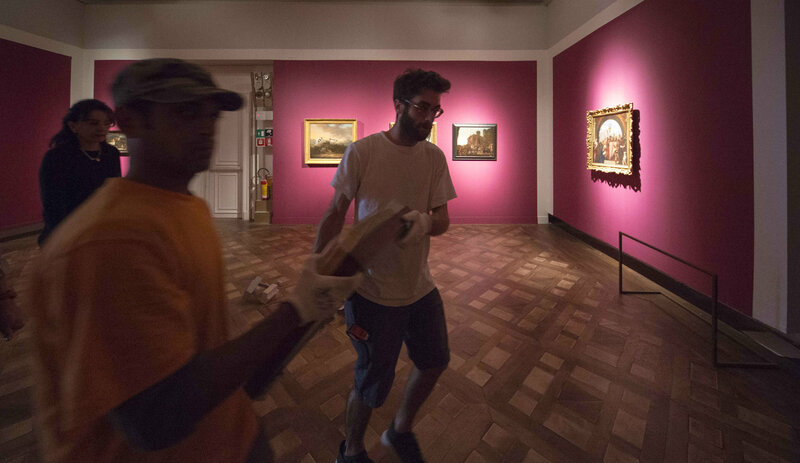 The exhibition features sculptures, paintings and precious archeological artifacts realized by great artists, from the IV century BC to the present day, mostly unpublished or never exhibited to the public. 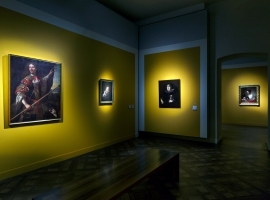 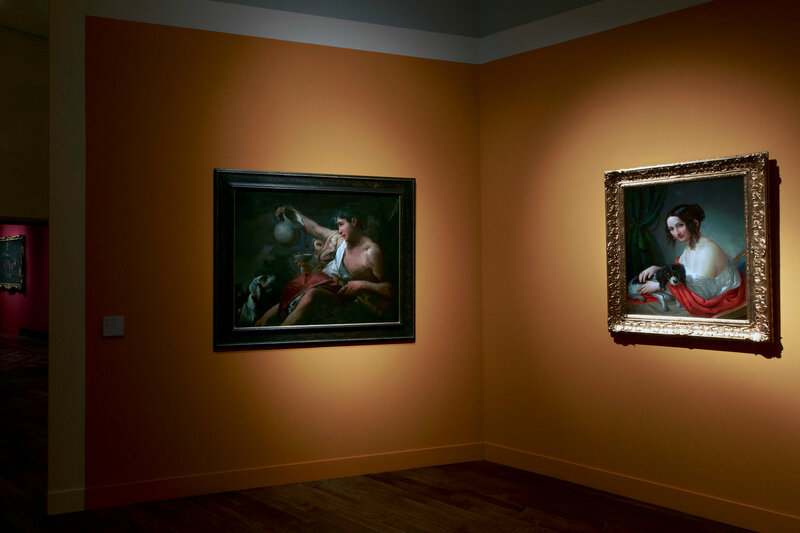 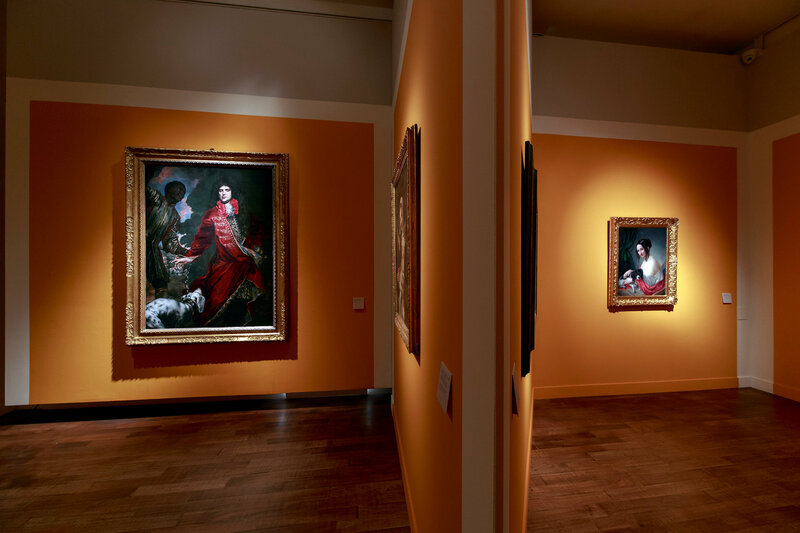 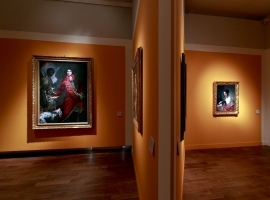 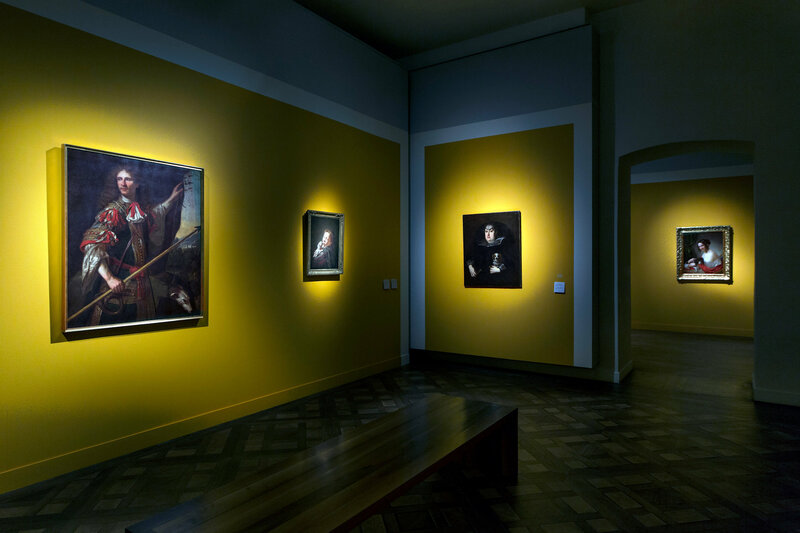 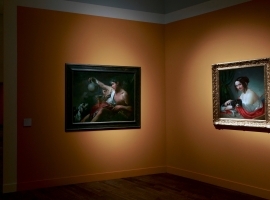 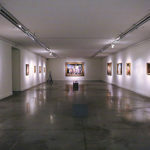 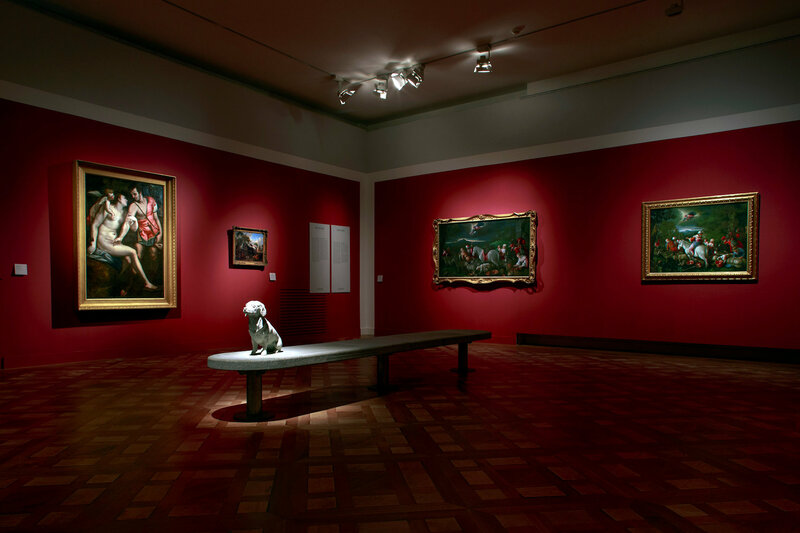 The exhibition retraces the history of men over the last two millenniums, illustrating the constant presence of the dog in figurative arts, at first depicted as accessory motifs in great history painting, and later experimented by “animal” painters as a real genre and further portrayed by versatile artists within other genres. 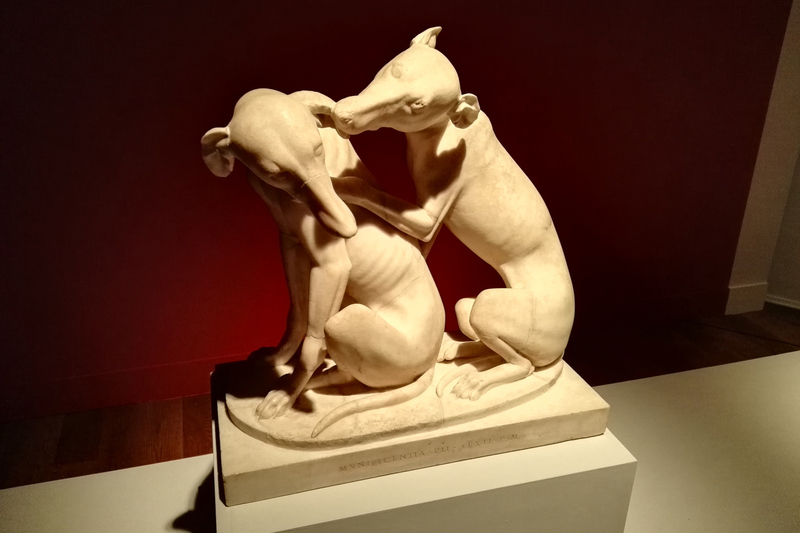 After the human figure, the dog – a human’s friend par excellence – is the character that has been most frequently represented by artists, signifying both an emotional bond and an elective affinity that bypass all formal decorum and overcome all iconographic conventions. 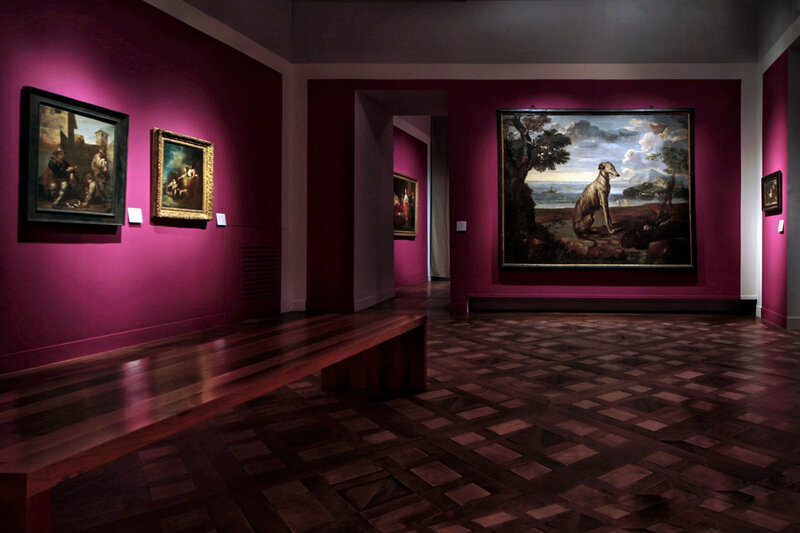 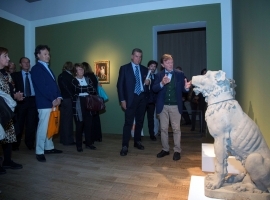 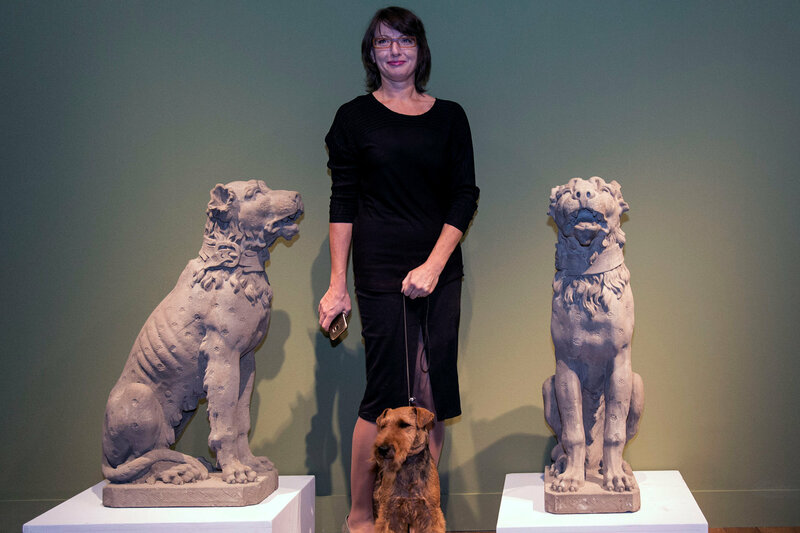 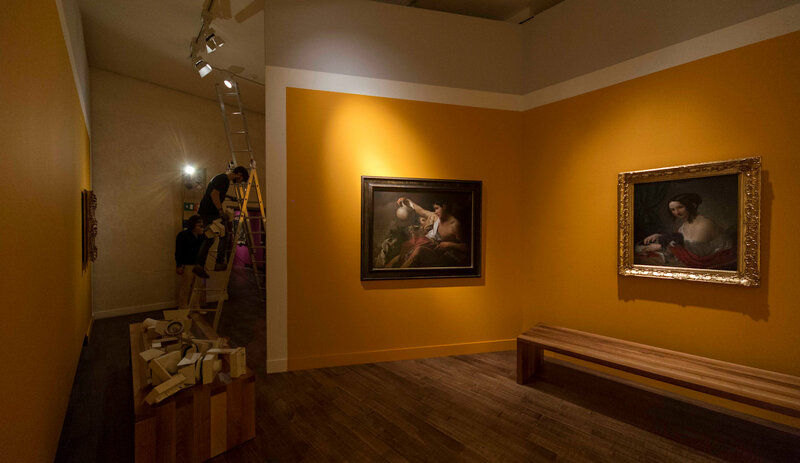 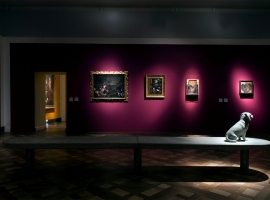 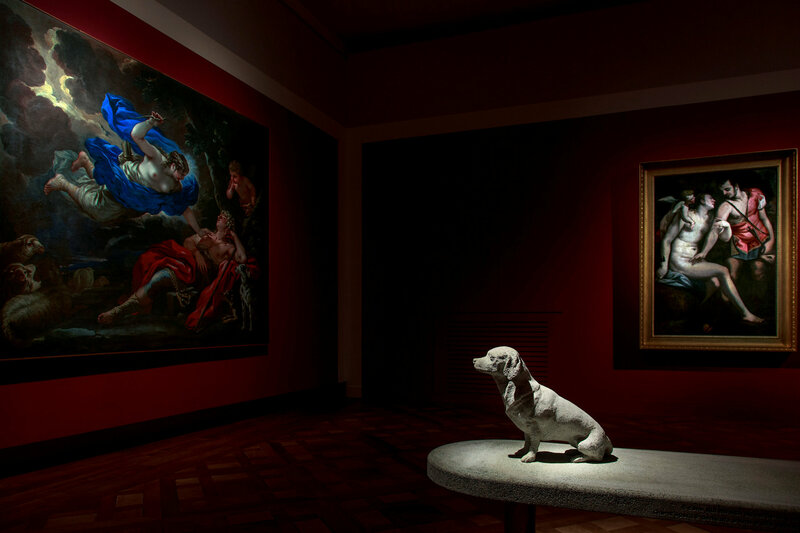 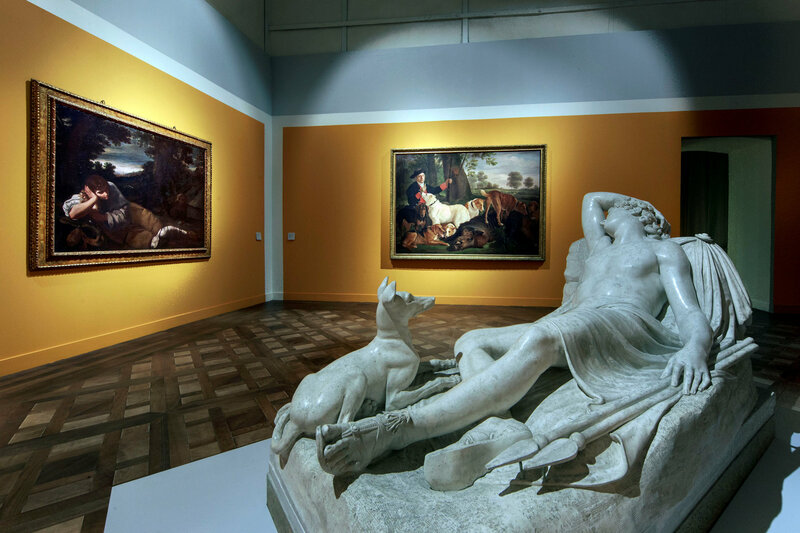 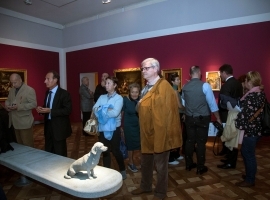 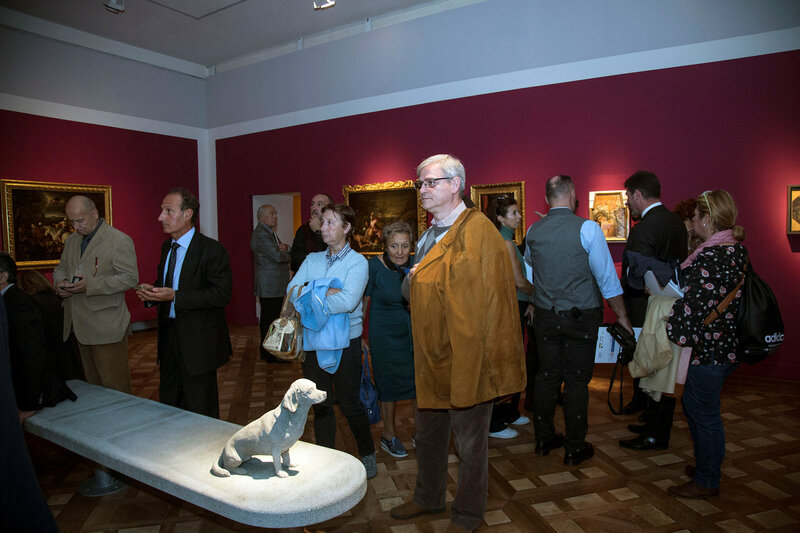 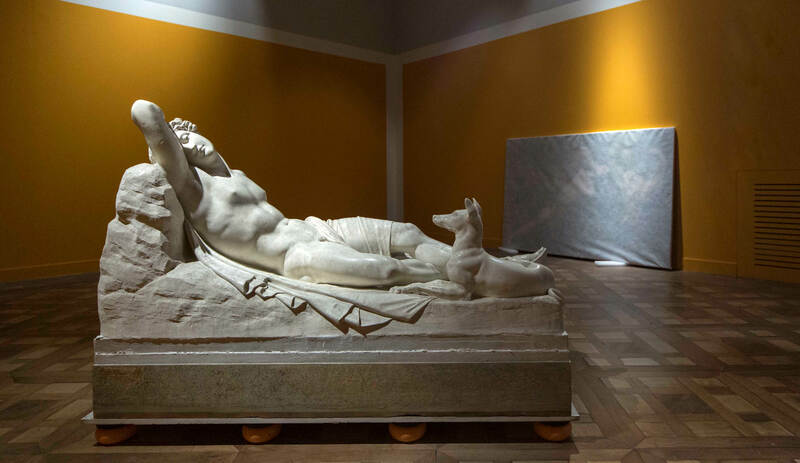 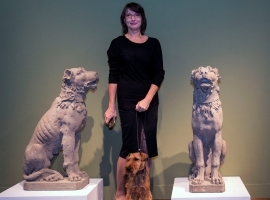 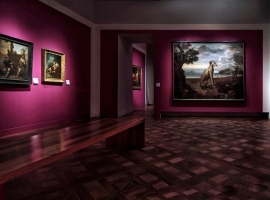 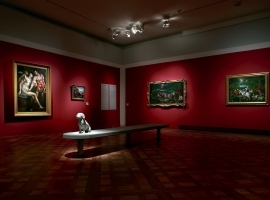 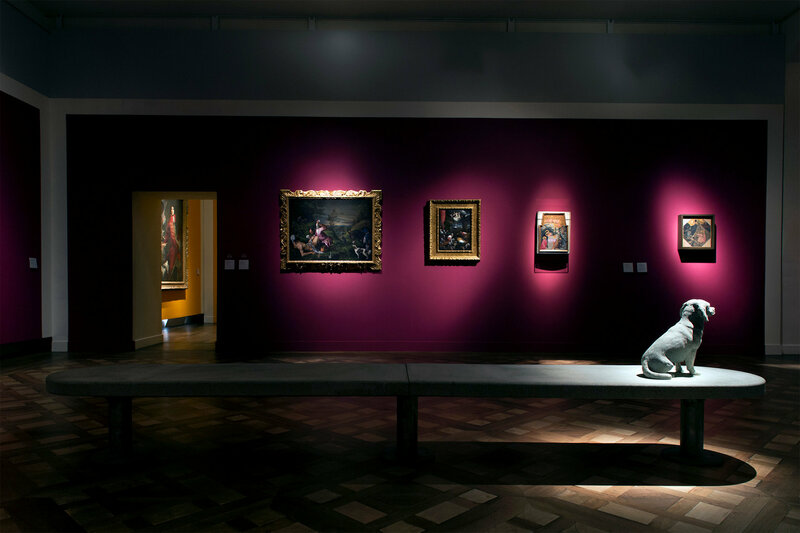 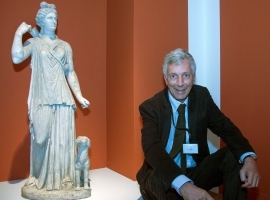 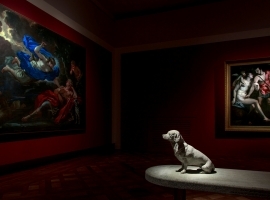 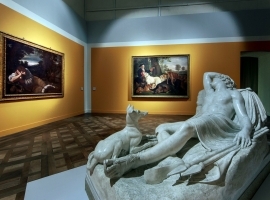 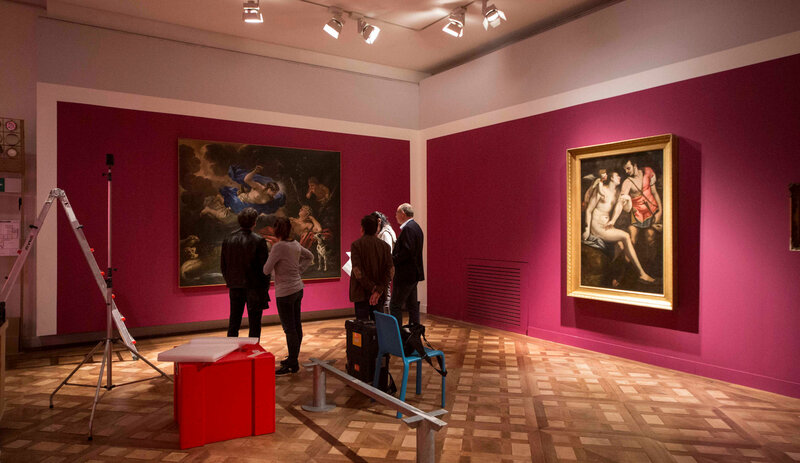 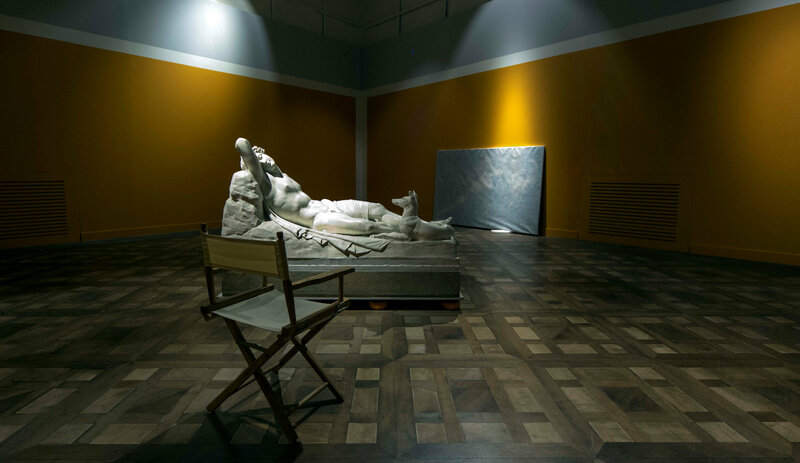 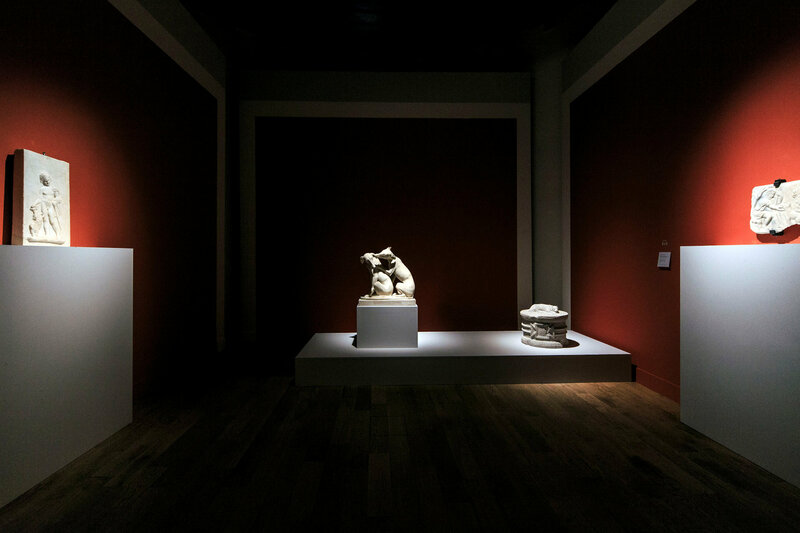 The exhibition is articulated according to five sections: Dogs in Classical Art: consisting of sculptures and artifacts from the Greco-Roman period; Dogs in Poses: composed of real-life portraits of dogs, in poses or in action; Dogs, Men and Women in Poses: portraying men, women and children beside one or a number of dogs, as a symbol of loyalty, affection and friendship; Dogs on Stage: where dogs are represented within historical, religious, mythological, allegorical or real-life episodes, to mark their constant presence in human affairs; and Imaginary Dogs: a section addressing the world of comics and the universe of fantastic transfiguration. 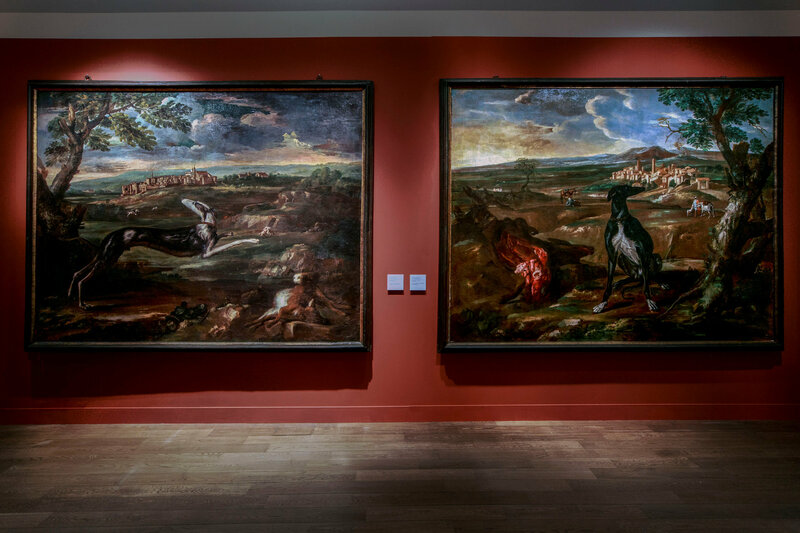 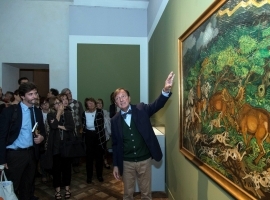 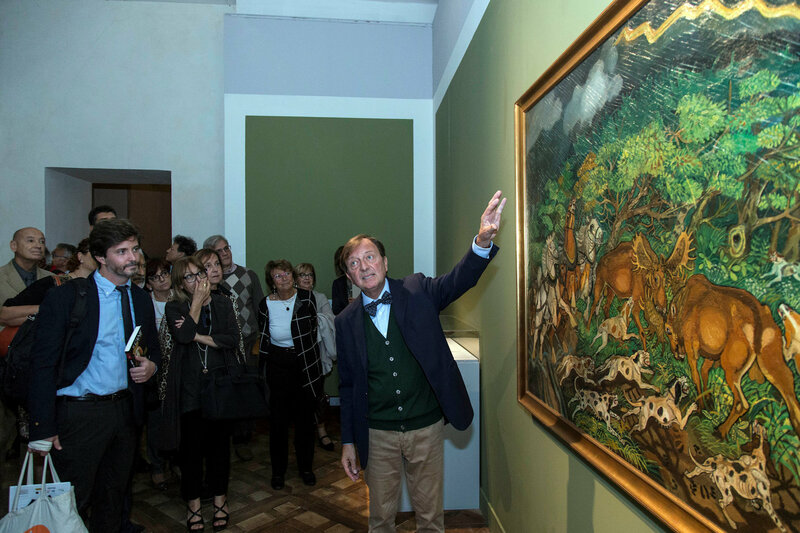 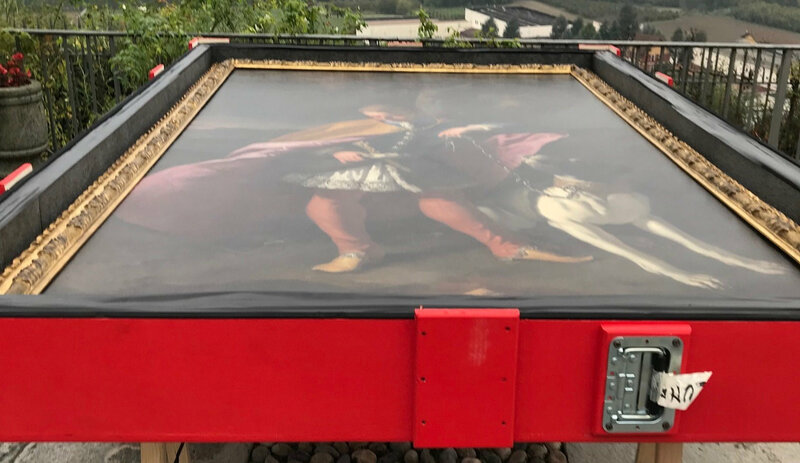 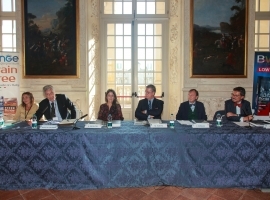 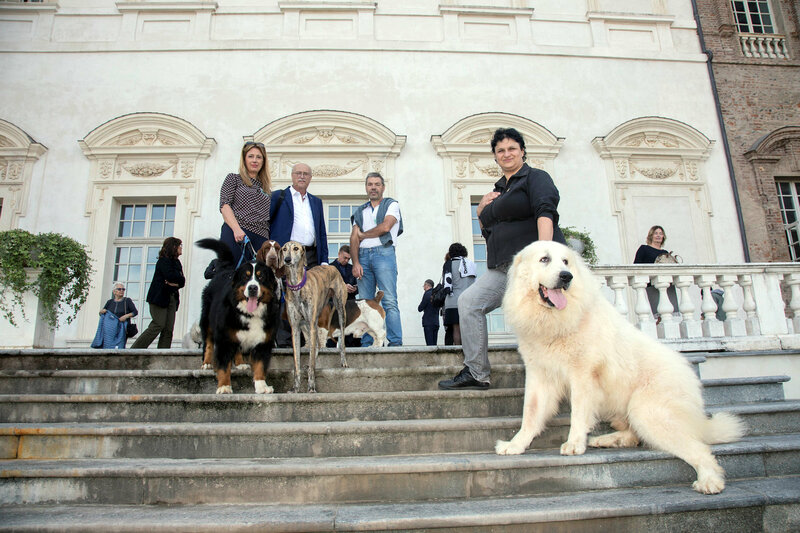 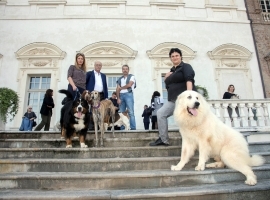 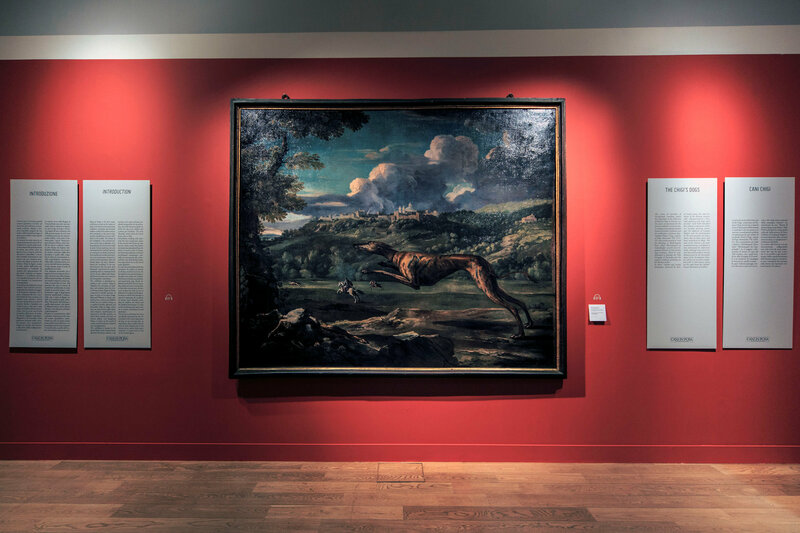 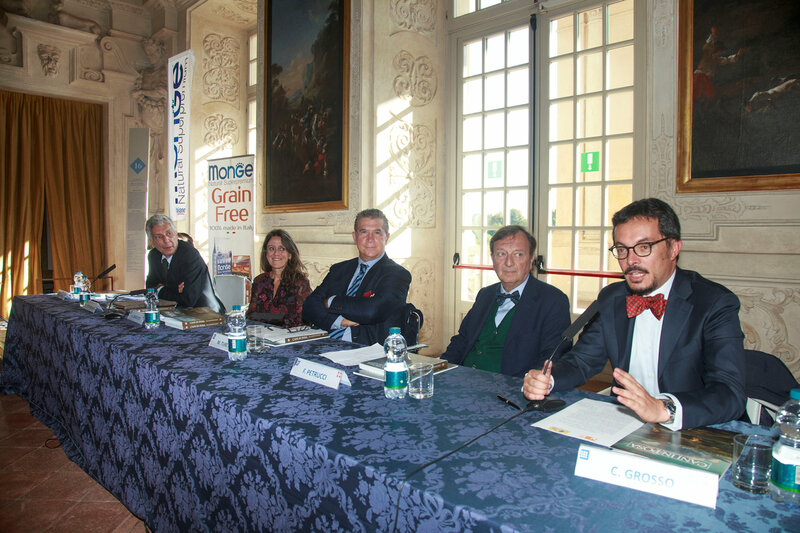 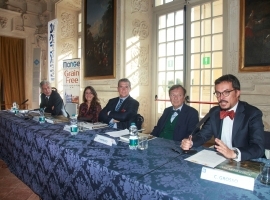 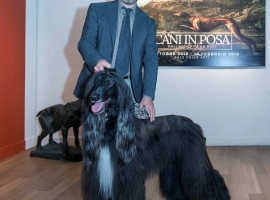 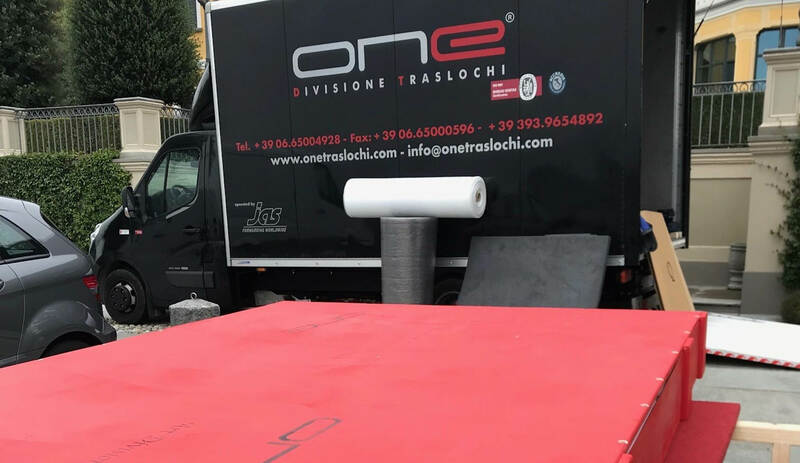 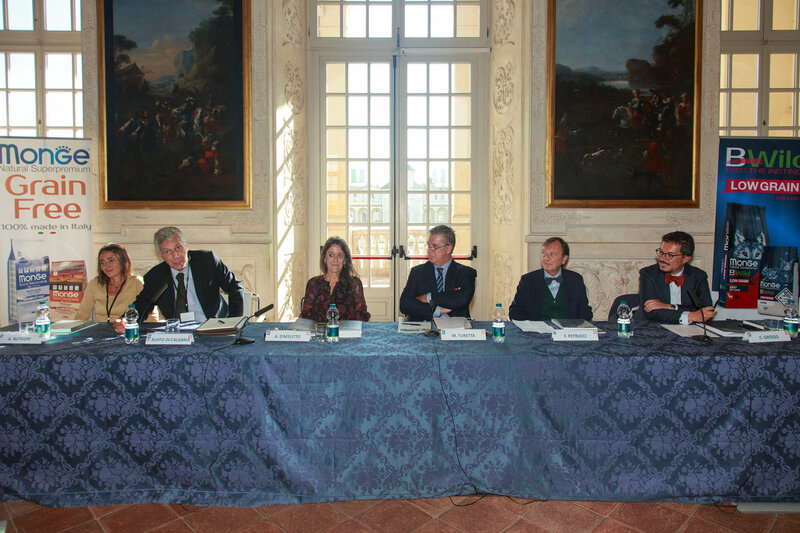 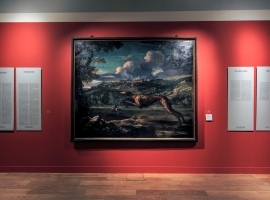 The exhibition is located in the Royal Palace of the Venaria Reale, formerly the Savoy residence, a natural site and a place of leisure specifically designed for the art of hunting, one of the human activities in which the dog is an emblem and a prince par excellence. The term “hunting” derives from the Greek Kinos, that is, Dog. 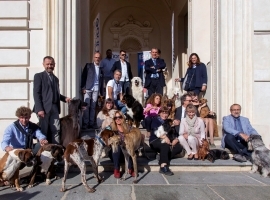 Nevertheless, hunting only represents the most conspicuous aspect of the ancient bond between men and dogs, that further developed and articulated, from the sphere of work to that of leisure, and that today also applies to the social and psychological arenas, especially considering the crisis of the family institution where dogs often become social equalizers. 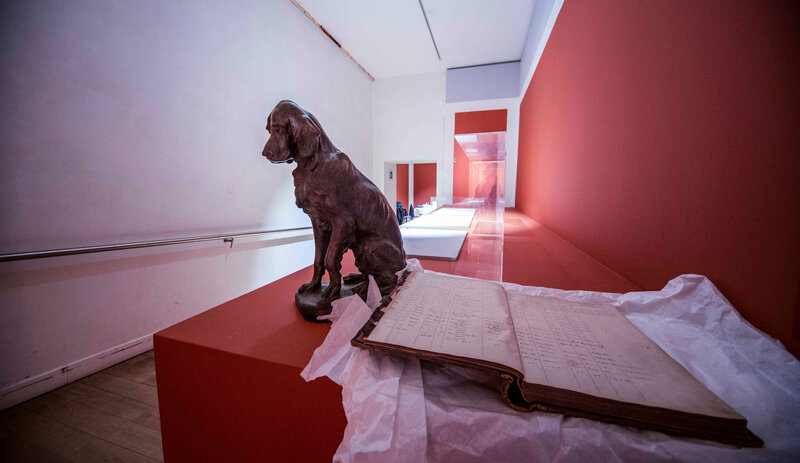 Such ancestral relationship is not only the focus of ethology’s research but has led to the development of zooanthropology, a discipline that studies the relationship between humans and animals particularly dogs. 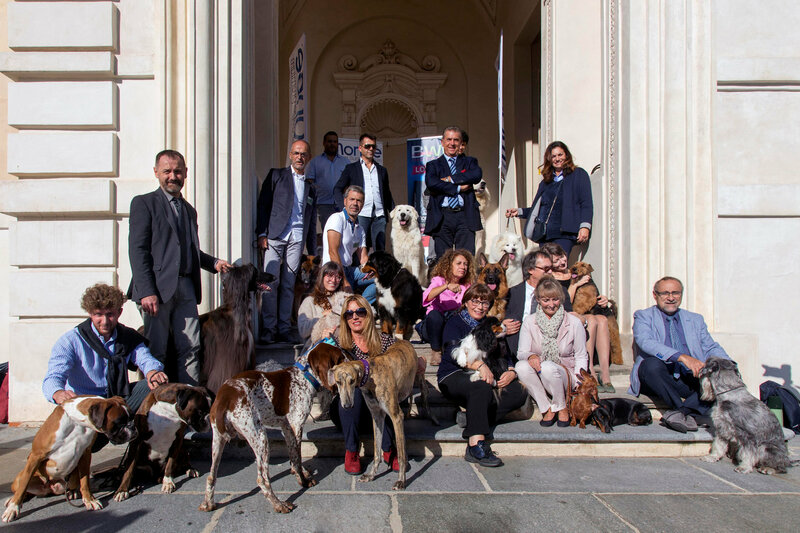 Besides the traditional work fields that are nowadays out of date or that have been reconverted, the presence of dogs has made its way in fields such as civil protection, welfare and therapeutics, in which they are used to improve the problems inherent to different social categories including the children, the elderly and the disabled (pet therapy).